To obey his duty is to deny his heart. India 1788. Anusha Laurens is in danger. 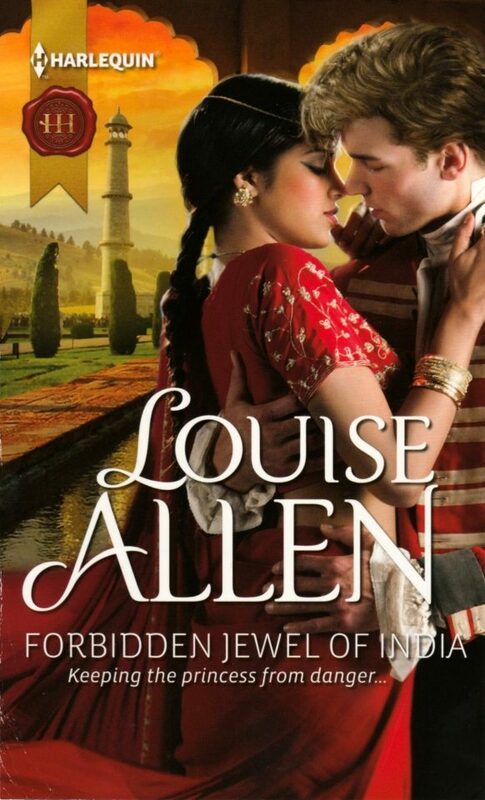 The daughter of an Indian princess and an English peer, she’s the perfect pawn in the opulent courts of Rajasthan. Even so, she will not return to the father who rejected her without a fight. Arrogant angrezi Major Nicholas Herriard is charged with bringing the alluring princess safely to her new life in Calcutta. Nick’s mission is to protect, to serve – but under the searing Indian sun an initial attraction unfurls into a forbidden temptation. Patterns of sunlight and shade fell through the pierced stone panels onto the white marble floor, soothing to the eye after miles of dusty roads. Major Nicholas Herriard rolled his shoulders to loosen them as he walked. The physical stresses of the long journey begin to fade. A bath, a massage, a change of clothes and he would feel human again. Running feet, the faint, sharp scratch of claws on marble. The hilt of the knife in his boot came to hand with the familiarity of long practice as he twisted to face the side passage, crouched to meet an attack. A mongoose shot out of the opening, skidded to a halt and chittered at him, every hair on its body fluffed up with aggravation, its tail stuck out behind like a bottle-brush. ‘Idiot animal,’ Nick said in Hindi as the patter of running feet became louder and a girl followed the mongoose, her wide crimson skirts swirling around her as she caught her balance and stopped. Not a girl, a woman, unveiled and unescorted. The part of his brain that was still dealing with an attack analysed the sound of her footsteps: she had changed direction twice just before she emerged, which meant this was one of the off-set entrances to the zanana. She should not be here, outside the women’s quarters. He should not be here, staring at her with all the blood in his brain heading south, his body poised for violence and a weapon in his hand. ‘You may put away your dagger,’ she said and it took him a moment to adjust and realise she was speaking in lightly-accented English. ‘Tavi and I are unarmed. Except for teeth,’ she added, showing hers, white and regular between lips that curved into a smile of faint mockery. It masked, he was certain, shock. The mongoose twined between her bare, hennaed feet, still grumbling to itself. It wore a gem-studded collar. ‘Namaste.’ Over her own joined hands dark grey eyes studied him. The shock seemed to have turned to suspicion edged with hostility and she was making no effort to disguise either emotion. Grey eyes? And skin like golden honey and hair that showed streaks of mahogany and deep brown as it fell down her back in a thick plait. His quarry, it seemed, had found him. She did not appear disconcerted to be alone, unveiled, with a strange man, but stood there and contemplated him. Her full red skirts, weighted with heavy silver embroidery, hung just above her ankles giving a glimpse of close-fitting trousers. Her tight choli revealed not only delightful curves and elegantly rounded arms decked in silver bangles but also an unsettling band of smooth golden midriff. ‘I should go. Excuse me for disturbing you,’ Nick said in English and wondered if he was perhaps the more unsettled of the two of them. ‘You have not,’ she replied with crushing simplicity in the same language. She turned and walked through the opening she had appeared from. ‘Mere pichhe aye, Tavi,’ she called as the skirts of her lehenga whisked out of sight. The mongoose followed obediently, the faint click of its claws fading along with her light footsteps. ‘Hell,’ Nick said to the empty passageway. ‘That is quite definitely her father’s daughter.’ Suddenly a simple duty had become something else entirely. He squared his shoulders and strode off in the direction that led to his rooms. A man did not become a major with the British East India Company by being disconcerted by acid-tongued young women, however beautiful. He needed to clean himself up and seek an audience with the raja, her uncle. And after that, all he had to do was to transport Miss Anusha Laurens safely halfway across India, back to her father.